Right in the middle of Almaty is Central Asia's largest, and most fabulous, public bathing complex. An architectural Eurasian fantasy, it is a perfect place to spend a few hours relaxing. 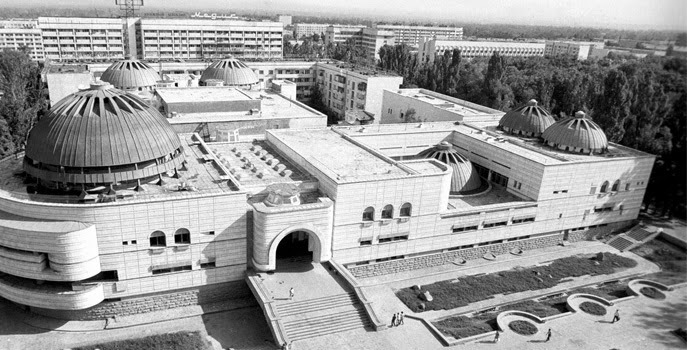 "They were built on the orders of Dinmukhamed Kunayev, First Secretary of the Communist Party of Kazakhstan from 1959 to 1986. A close friend of Brezhnev, Kunayev was the only Central Asian representative in the Soviet Politburo, the select committee of super-elites who controlled the workings of the Soviet Union. With such high connections, Kunayev was able to obtain a generous budget for the city of Almaty, which allowed him to carry out his dream of monumentalising the capital of the Soviet Socialist Republic of Kazakhstan, then called Alma-Ata". The baths have been totally restored and are immaculate. Opening hours are Tuesday through Sunday from 0800 - 2400. Even visiting alone it is easy to navigate the baths and services on offer. There are separate areas for men and women. Depending on the day of the week you visit, the entry price is from 800 - 2,000 Kazakh tenge. (About $5 - $11). If you do not bring your own towel, bathing cap or rubber slippers (all of which are mandatory), you can hire them for a modest fee. 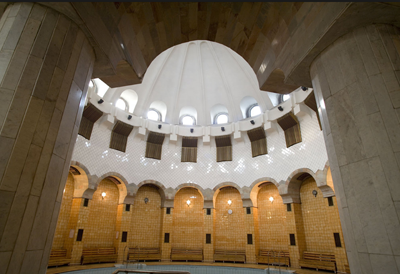 Entry entitles you to two hours of wallowing in all the baths, the Finnish, Russian and Turkish style hammams (steam rooms) and the rest areas. If, however, you purchase additional services for at least 5,000 tenge (about US$27), such as a massage or scrub, then you have unlimited time at Arasan. The reception staff give you a micro-chipped, wristband locker key and all your services are recorded on it: massages, green tea, beer, vodka, pedicure etc. So you can safely leave your belongings in your private locker. 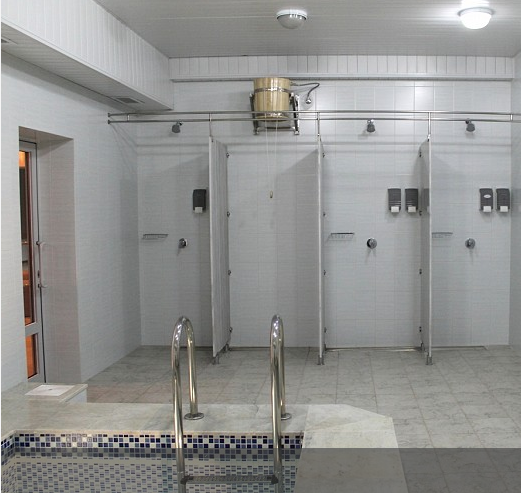 When you leave the bathing area, you simply present your locker key and pay. Spending a few hours at Arasan is a marvellous treat. Although apartments in Almaty today all have bathrooms, locals come here regularly with friends and family: soaking, gossiping, sipping tea and enjoying the special atmosphere. After bathing, there are restaurants and bars in common areas. In winter, when temperatures regularly drop to -25 degrees Celsius, the Arasan baths must be a real haven. Review Arasan's website to learn more about its services, prices and regulations before you visit.